Here’s a look at what comics Marvel’s releasing in July. A full list of solicitations is available here. 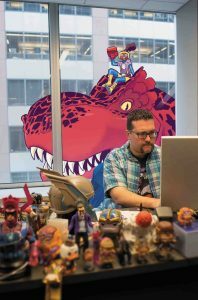 “Moon Girl and Devil Dinosaur” #33. Art by Natacha Bustos. Marvel’s rebooting a lot of their books with new #1’s this month. 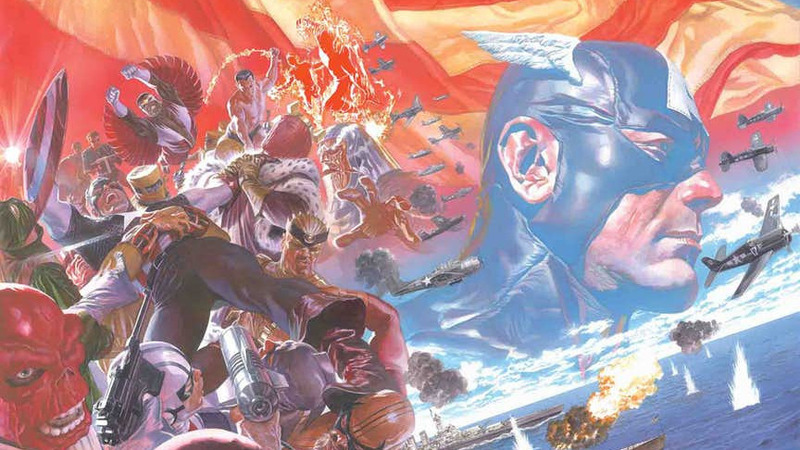 The main one of interest for this month is probably the new Captain America run by Ta-Nehishi Coates. That said, it sounds like it’s still affected by that ill-conceived “Secret Empire” storyline (from the solicit’s remarks about Hydra). Nick Spencer (the writer on the aforementioned “Hydra-Cap”) is the new writer on “Amazing Spider-Man,” which is also getting a new #1. Marvel is publishing a “Cosmic Ghost Rider” miniseries, some bizarre sounding mix of Frank “The Punisher” Castle as the latest incarnation of Ghost Rider. Another miniseries starting this month is “Death of the Inhumans.” Between that and Disney’s buyout of Fox, I wonder if it’s a sign Marvel’s done with trying to make the Inhumans a thing (Kamala Khan aside). “Moon Girl” offers another nice-looking photo-based cover this month. Some of the stuff on the (live-action) desk include toys of Galactus, Howard the Duck, and lots of variants of MODOK. Two kid-friendly one-shots are out this month. One ties into “Marvel Rising,” while the other is more general. However, both feature Kamala.